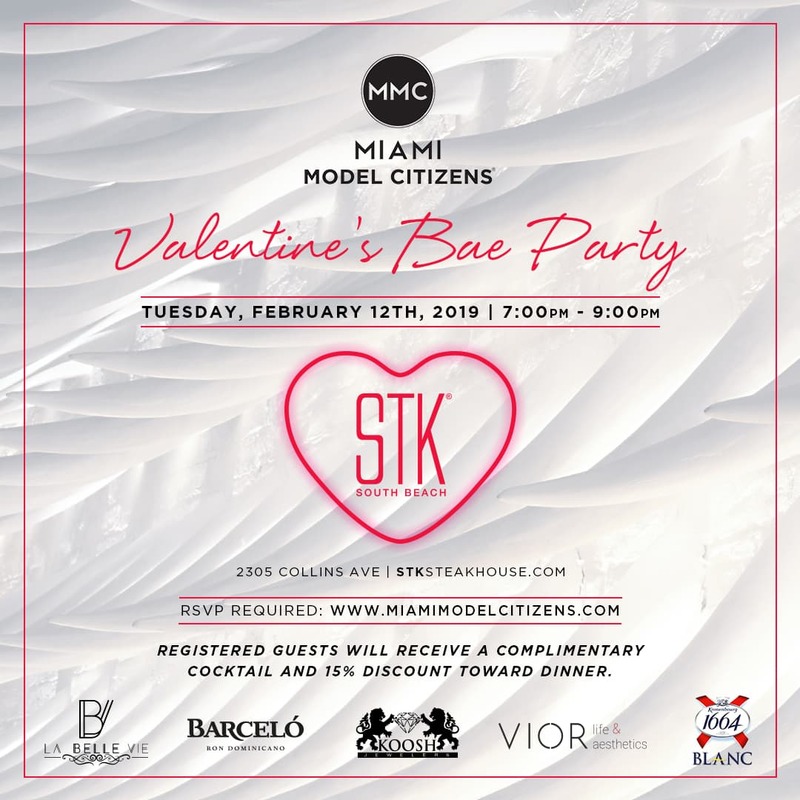 Join Miami Model Citizens for our Valentine’s Bae Party at STK South Beach on Tuesday, February 12 from 7-9 PM to kick off Valentine’s Day week! RSVP is mandatory!! Guests receive 1 complimentary cocktail/beer (cash bar for additional drinks) and 15% off of dinner that night at STK. Ladies receive a special Valentine’s gift courtesy of sponsor La Belle Vie (www.labellevie-xo.com) @labellevie.xo Instagram. Guests should come prepared to donate canned Pedigree dog food, pet blankets, or a minimum $20 donation per guest to support upcoming Miami Model Citizens volunteer work with the Humane Society of Greater Miami and Born Free Pet Shelter. 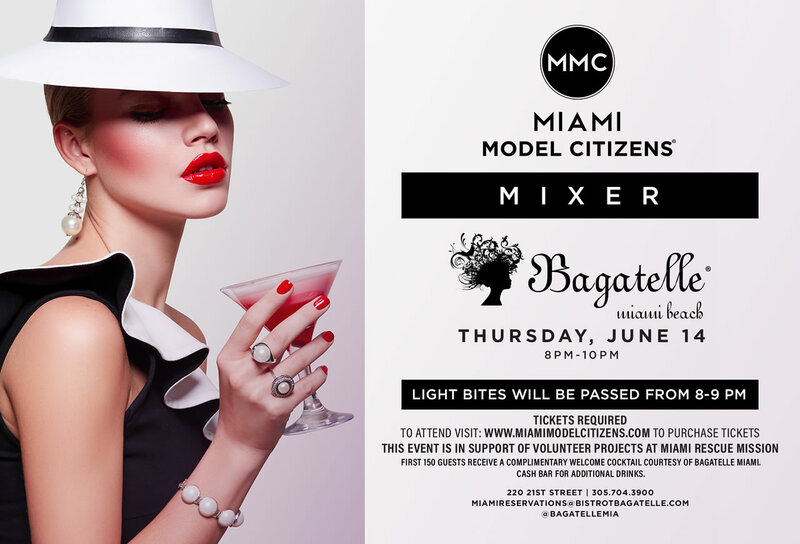 Join us for our Miami Model Citizens Mixer on Thursday night, June 14 at Bagatelle Miami Beach. Tickets are required to attend this event! We are limited to 150 guests. Guests receive 1 complimentary welcome drink upon entry, with light bites being passed from 8-9 pm. Cash bar for remaining beverages. Guests are encouraged to stay for dinner!